The President of the Federal Republic of Nigeria, President Muhammadu Buhari has advocated the effective deployment of improved port infrastructure across all countries within the continent in order to maximize maritime potentials within the territory. Addressing participants at the Conference of the International Association of Ports and Harbours (IAPH) holding at The Transcorp Hilton Hotel Abuja, under the Theme “African Ports and Hinterland connections, Buhari submitted that the linkage of port operation to the hinterland by multi modal transport techniques would result in the commendable economic growth and improved standard of living of the people. He therefore charged participants to synergize and collaborate with one another. 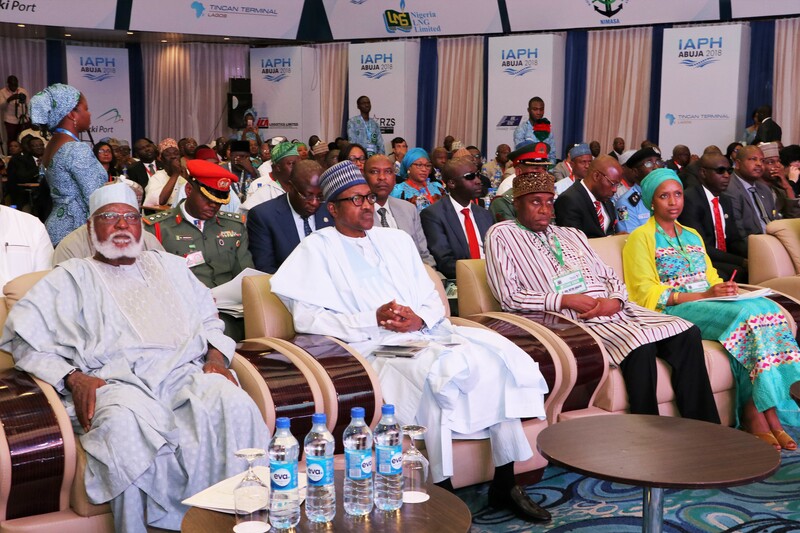 The President of the Federal Republic Of Nigeria, His Excellency, Muhammadu Buhari, GCFR (2nd from left), the Chairman 2018 International Association for Ports and Harbours ((IAPH) Conference, and former Head of State, General Abdusalami Abubakar, RTD, (left), the Minister of Transportation, Rt. Hon. 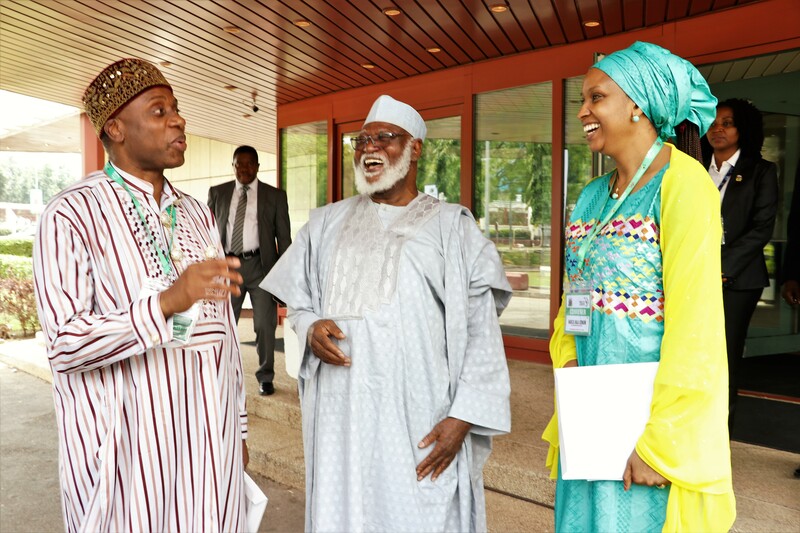 Chibuike Rotimi Amaechi (3rd from left), the Managing Director, Nigerian Ports Authority (NPA), Hadiza Bala Usman (right) during the opening ceremony of the IAPH Conference and Exhibition in Abuja, yesterday. According to the President, this inter-connectivity would infer in great enabling environment and frontier for competitive edges if well managed. He added that the availability of standard rail lines and effective road networks amongst others would result in plausible African prosperity across board. “the same level of serious attention is being given the improved road infrastructure”. 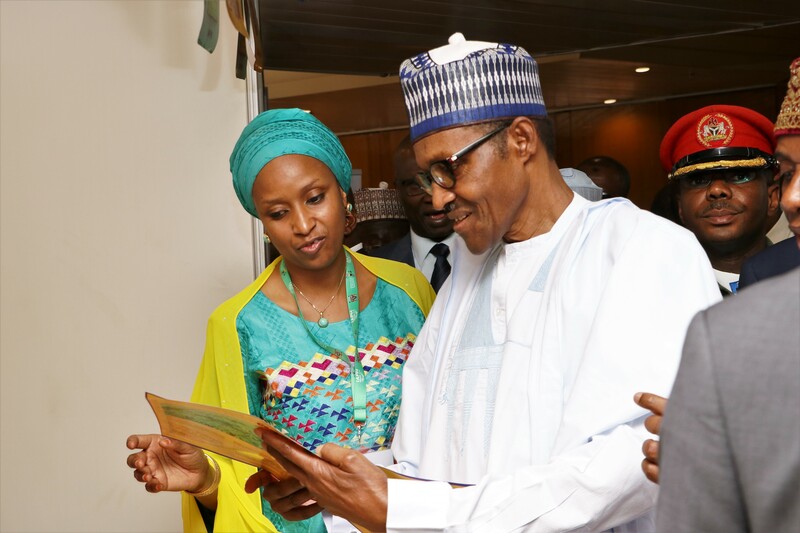 “At the moment, 25 major highways and 44 roads are under construction across six geopolitical zones of the country just as we have insisted on the stimulation of activities on the inland waterways”. In his address, the Honourable Minister of Transportation, Rotimi Chibuike Amaechi urged participants at the 3-day conference (17th-19th) September to optimize their comparative advantages in order to improve the welfare of the people. He stated that Government is committed to the deployment of multi transportation modes of operation in the sector, by way of improved rail services and other supply chains to the Hinterland. 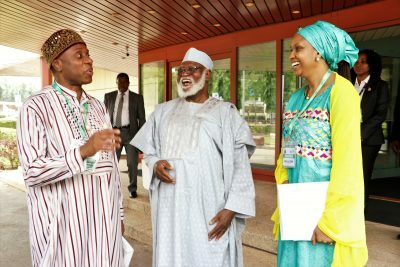 “With the development of the inland dry port in Kano and Kaduna, with the direct rail connection also, cargoes and containers are easily transported to Northern Nigeria”. “We are partnering with the government of Niger Republic in the construction of Maradi from Kano to promote regional motivation of trade and inter connectivity”. Speaking at the Conference, the African Regional Vice President (IAPH), Hadiza Bala Usman who also is the Managing Director of the Nigerian Ports Authority (NPA) said that Africa definitely has a place of pride amidst the fact that 39 out of the 54 countries in the continent are endowed with littoral assets calling for optimal exploitation of these vast maritime dividends. The Conference’s areas of discussion include: Prioritization of effective policies, funding, Infrastructural Upgrade, Administrative Excellence, Blue Economy and Regional Integration. Others areas of coverage include: Operational Efficiency, Digital Infusion and ICT utilization, Trade Facilitation, Capacity Building, Revenue Generation and other areas of Best practices as may echo during the conference.